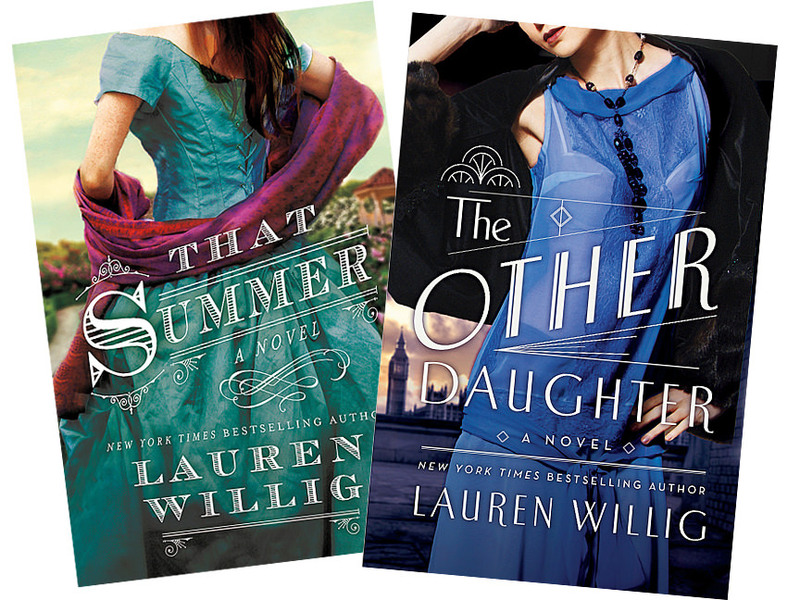 Two of her stand-alone works of historical fiction: That Summer (2014) and The Other Daughter (2015). “Of course their hook was ‘Harvard student writes bodice-ripper,’” says Lauren Willig, A.M. ’03, J.D. ’06. And of course it worked: the publisher’s strategy attracted “all sorts of media attention” to her novel The Secret History of the Pink Carnation. 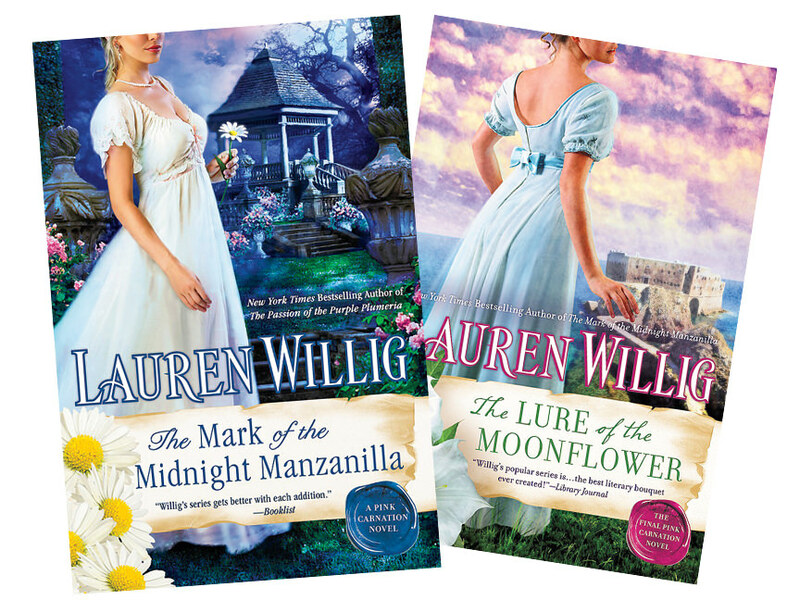 Other lucky circumstances helped to make that 2005 debut a hit, like the cresting popularity of chick lit, Jane Austen spin-offs, and stories that switched between eras. Willig’s historical romance, its chapters shifting between past and present England to pursue two plots, had traces of all these trends. The historical half tells the story of a pair of lovers in the League of the Pink Carnation—a ring of aristocrat-spies, led by the mysterious Jane Wooliston, who serve their country during the Napoleonic Wars. Historian-heroine Eloise Kelly, an American abroad in search of fulfillment professionally (and of course, romantically), narrates the contemporary half. Ten years and 14 books later, Willig is cheerfully matter-of-fact when describing her work and how it’s structured, marketed, and read. “Pink was very much a product of a certain moment in time,” she reflects. “Everything was light, and frivolous, and slightly silly....I personally could not write that book now, and even if I did, I don’t know if I could sell it now.” To her, romance novels are workaday objects, more artisanal than art. “The same way that you find that really beautiful furniture, that was designed for everyday use, winds up in the Victoria & Albert, the really good romance novels have outlasted their own period” and are seen as exemplars of their form. On the other end of the spectrum, she adds, there’s IKEA: mass-produced, functional, and ultimately disposable. As Willig started her first year of Harvard Law School, a publisher bought Pink Carnation and its eventual follow-up, The Masque of the Black Tulip, which “thrilled and bewildered” her. Had she gotten the contract earlier, she’s not sure that she would have applied or enrolled—“But of course, once there, I was going to see it through.” She wrote between semesters (except when, as a summer associate at a big New York firm, she was assigned to the Enron case) and, after graduation, on weekends when she wasn’t called into the office. On her one-week vacations, she retreated to Starbucks, typing furiously to meet her publisher’s deadlines; while away on publicity tour, she did her day job remotely. During the five years of that double life in letters and law, Willig produced four books. Eventually, she left the firm to write full-time, and at peak speed produced three full-length manuscripts in a year, as well as a handful of shorter works. There were other, internal, factors: “I had to make a real effort to remember what it was to be Eloise, or in her position.” At first, author and character were essentially contemporaries—in fact, Eloise was a few months ahead in her semester. But the gap between them has inverted and widened as Willig entered and left the law, got married, and had a daughter; Eloise, lagging behind, only just abandoned Harvard. Revisiting the reviews of her early work, Willig finds herself agreeing with those who described it as “relentlessly effervescent” and the characters as “young and carefree.” She believes the series has grown up along with her. After nearly a dozen novels’ worth of staying in the shadows, donning disguises, directing her operatives, and gathering intelligence, the hyper-competent Jane (alias the Pink Carnation) at last gets to tend to her private affairs. As for Eloise? Happily-ever-after comes with wedding bells—and a book deal.